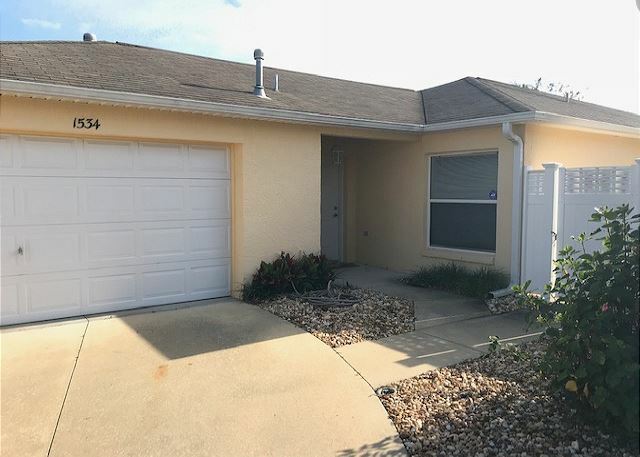 The Villages, Florida United States - THE VILLAGES FL 2 BEDROOM COURTYARD IN GREAT LOCATION | RE/MAX PREMIER REALTY Inc.
Open floor plan two bedroom courtyard in Poinciana with golf cart. This home has a king in master and queen in guest room. Recliners in the living area with nice flat screen TV. Gas cooking. Walk in shower with glass door in the master. 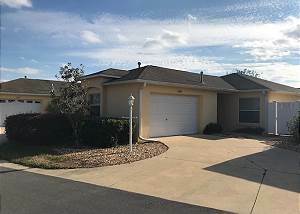 Enclosed lanai with dining area. Guest bath tub and shower combo. Kitchen is open and has bar stools at counter for extra dining space. Dining table seats four. Ceiling fans throughout.